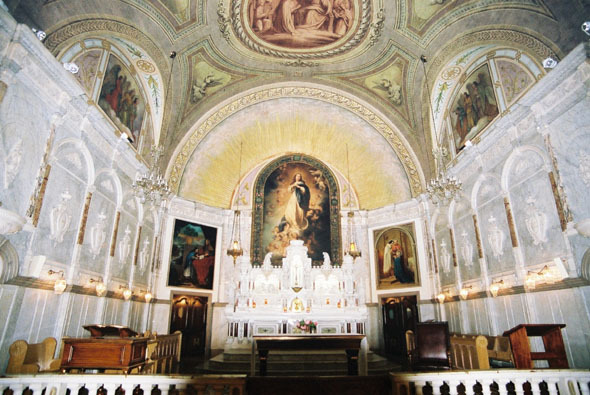 Work on the Notre-Dame-de-Bon-Secours Chapel began in 1657 at the prompting of Marguerite Bourgeoys, Ville-Marie’s first teacher and the founder of the Congrégation de Notre-Dame, a religious order. 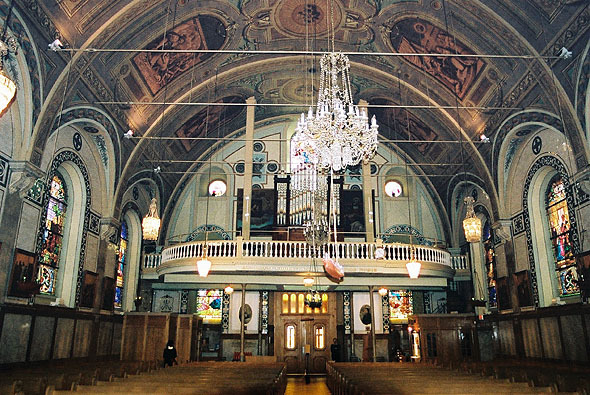 The original wooden structure was rebuilt in stone and frequently altered; its present face dates from the late 19th century. 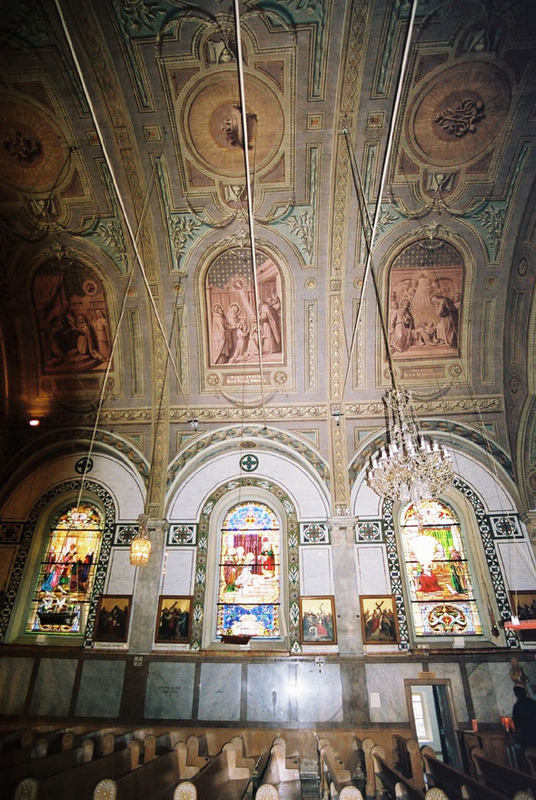 The ceiling, decorated by painter Édouard Meloche between 1886 and 1891, illustrates the life of the Virgin Mary.